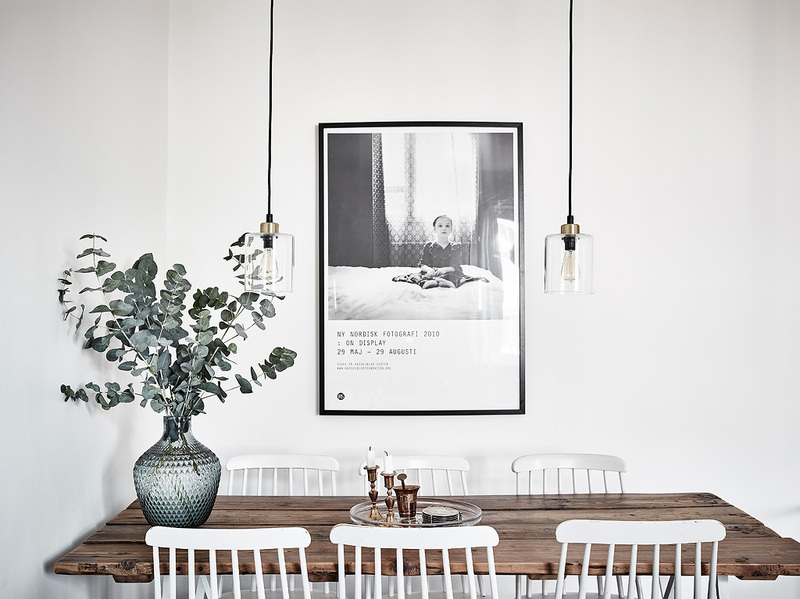 In the global world of interiors, the hot trend of the moment has to be Scandi Style. 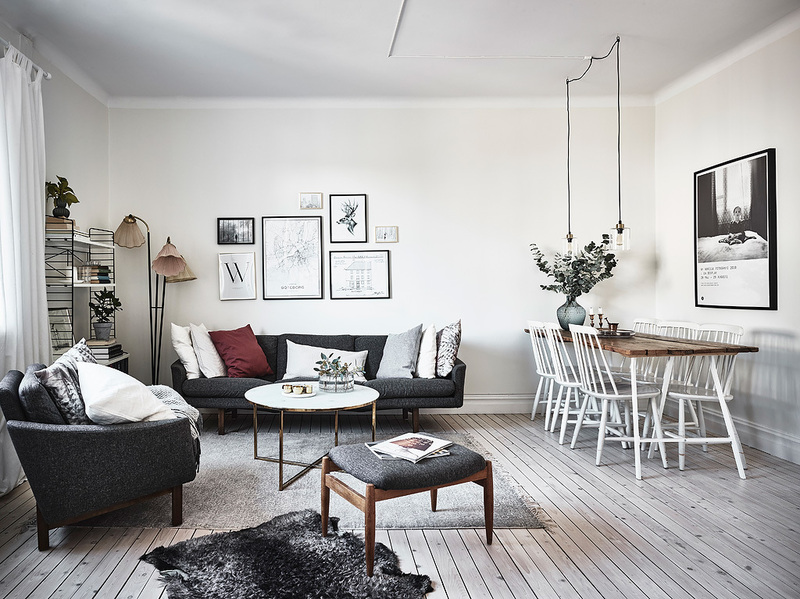 Whether we are talking about country style Gustavian interiors from Sweden, the Scandinavian mid century classic designs of the Modernist movement or the Danish passion for Hygge, we can’t seem to get enough of it. 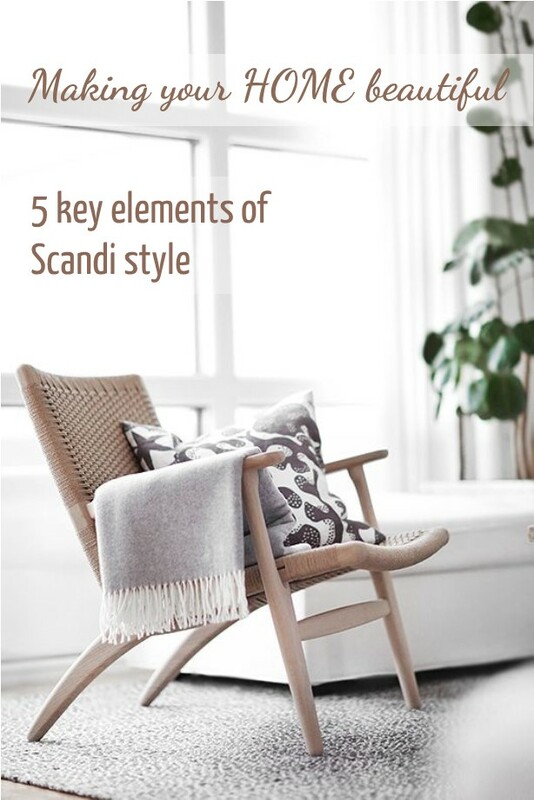 In this post I am going to concentrate on Scandi style in general and look at the different Scandinavian styles in detail in later posts. For now, here are my 5 key elements for you to consider if you are looking to re-create this style in your home. Natural daylight is a rare commodity for Scandinavians during the long winter months and even during the summer the light is softer and greyer than the harsh sunlight that we are used to in Australia. Northern light is quite different and therefore homes in Scandinavia are designed to let in as much natural light as possible and to trap it there, so rather than using paint colours, flooring and furnishings that will absorb light, every element in an interior scheme is carefully curated to ensure that natural light bounces around the room. 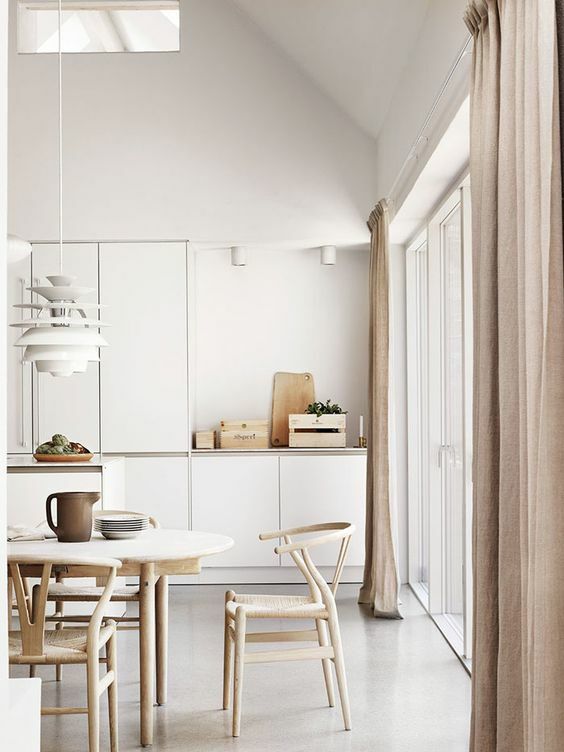 As so much of the year is spent without a large degree of natural light it is also important to pay attention to artificial lighting for a Scandi scheme. By the way, I believe this is true for any decorating scheme and often an element in interiors that is generally overlooked. Consider using lots of different types of lighting from dimmable LED downlights to wall lights for mood lighting, floor and table lamps for ambience and good quality task lighting for study and reading. You won’t use them all at once, but each play a crucial role at some point and remember that a layered lighting scheme is always preferable to a single source. Just think about the feel of a room with one single overhead light, pretty grim, but then consider also using a dimmer switch and wall and table lamps and you have a much nicer space. 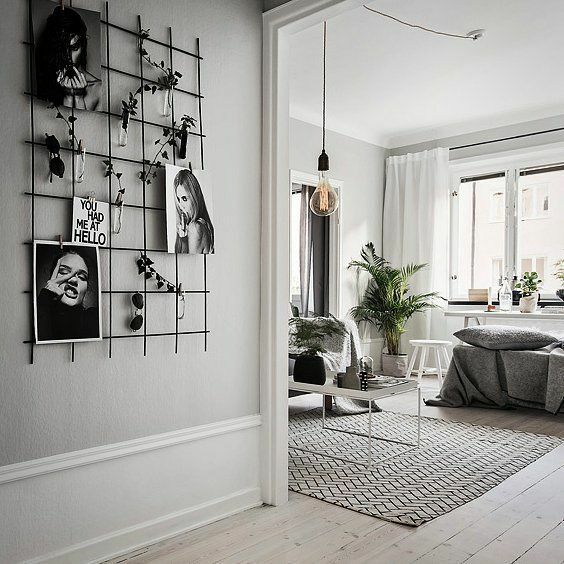 Bearing in mind the need for light, a colour palette therefore in a Scandi scheme is generally white, with a touch of white and a splash of white to complete the look! 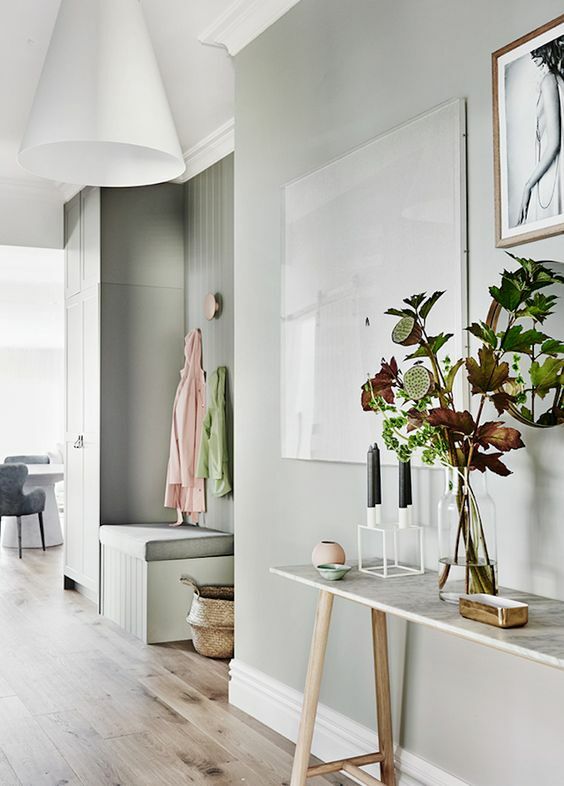 Seriously, this is true to an extent but you can also use gently greyed down colours, either soft duck egg blues, gentle grey greens or pale neutral greys. If introducing a grey on the walls, opt for one that is very light and offset by a crisp white trim and white and light timber accessories. Remember that all greys have an underlying colour so ensure that you select one that works with the rest of the colour palette. To be on the safe side I recommend a neutral grey for interiors unless you are sure about the colour. Dulux Lyttleton Quarter is a good go-to soft interior grey colour. Of course, any accent colour can be used in artworks and accessories but generally to ensure that natural light is reflected as much as possible, the main colour palette needs to be a white of some description. This applies to the flooring as well as the walls and ceilings and floorboards are often white-washed or in very pale timbers to create even more light. To ensure that you create some definition to this look, the neutral black is your friend here. 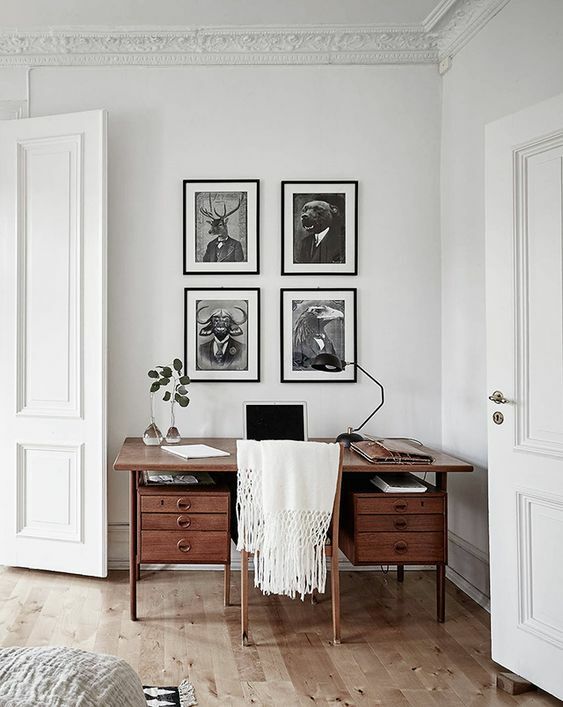 Black framed artworks look terrific on crisp white walls and really help to define the space while the introduction of some darker neutral greys in upholstery adds another dimension. When you are working with a very simple light colour palette, you really need to incorporate as many natural finishes as possible. Scandi style is all about layers. Any neutral scheme needs definition and this can be introduced with varying textures. Scandinavians rarely install wall to wall carpets, preferring to work with either natural stone or timber for their flooring and employing the use of lots of rugs. 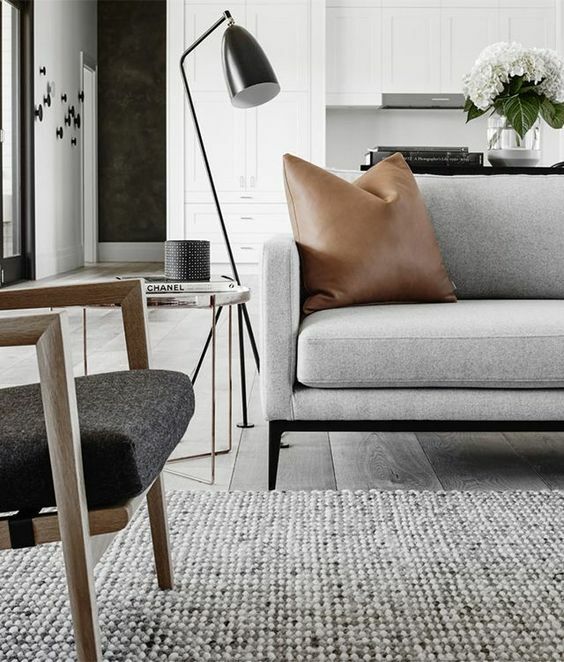 Natural fibres like Hemp, Sisal and Wool in soft neutral colours are an important element of this look. This is a great opportunity to introduce some soft greys into the colour palette. Layers are important too for accessories. 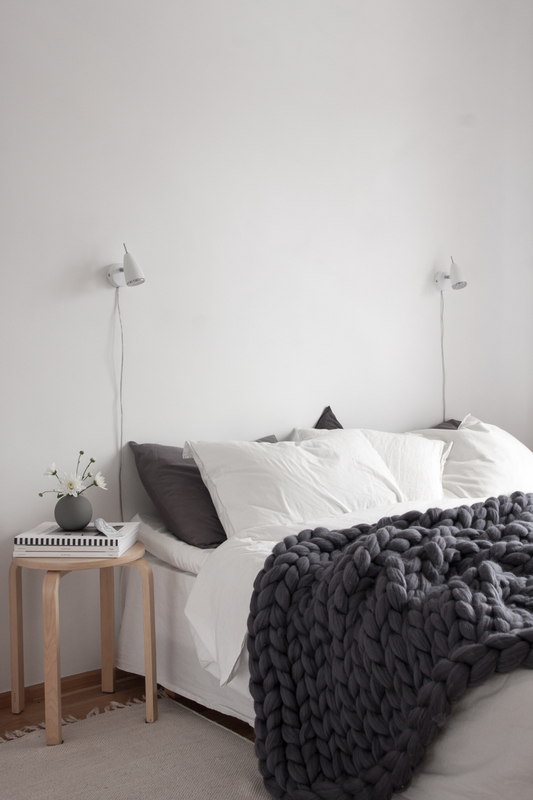 Introduce cable knit woolen throws, soft cashmere blankets and warm fluffy cushions when accessorising beds and sofas in a Scandi style. The Danes have made Hygge a global phenomenon and as soon as the weather cools and winter approaches the essense of Hygge and the importance of these accessory pieces come into their own. 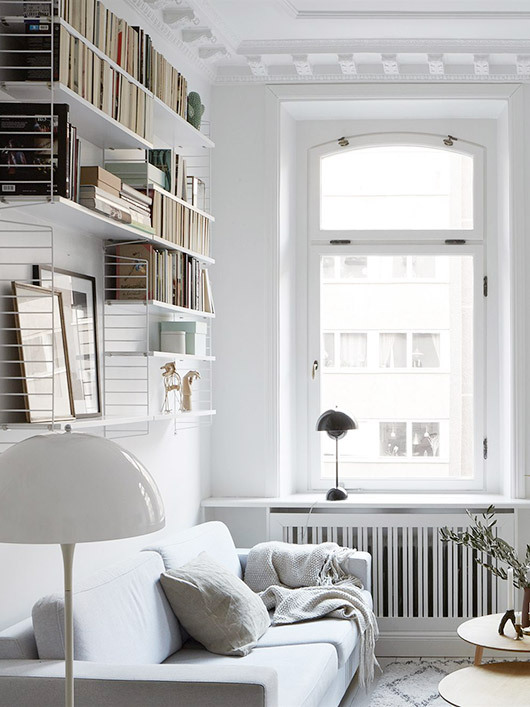 The appeal of Scandi style too is that the look is free from clutter. Scandinavians don’t over-decorate and stick to the decorator’s motto of ‘assess a finished room and then take one thing away’. Clean lines and simple joinery are important for this look. Unnecessary decorative elements are not used for this style but workmanship is important with the beauty of a piece lying in its simplicity. 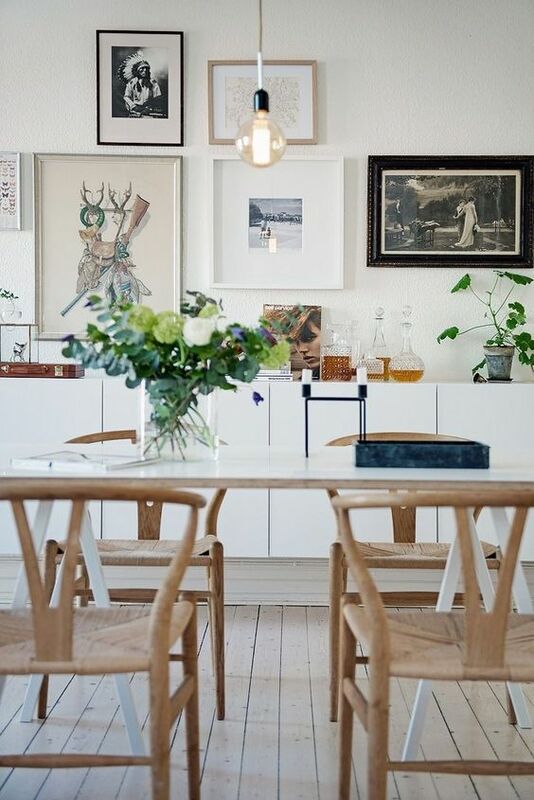 This doesn’t mean that Scandi style decorating is boring, the appeal is in the pared back beauty of a piece. The Modernist movement of the mid twentieth century that believed in form following function, transformed Scandinavian style and these retro pieces are still as important to the look as they were 70 years ago. 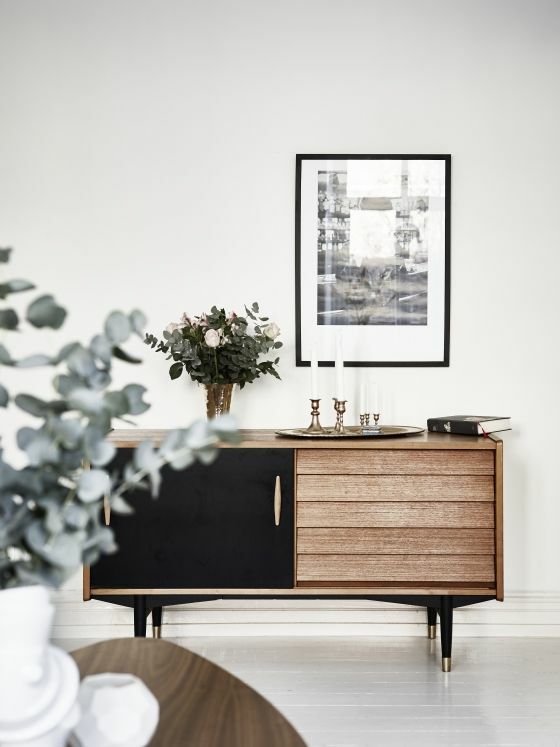 With such a simple colour palette and crisp clean lines, Scandinavians really value and understand the importance of a statement piece of furniture. Rather than having lots of chairs and sofas crammed into a room, careful consideration is given to a couple of beautiful items. It is typical for an entire month’s salary to be spent on an iconic armchair which will take centre stage in a room. 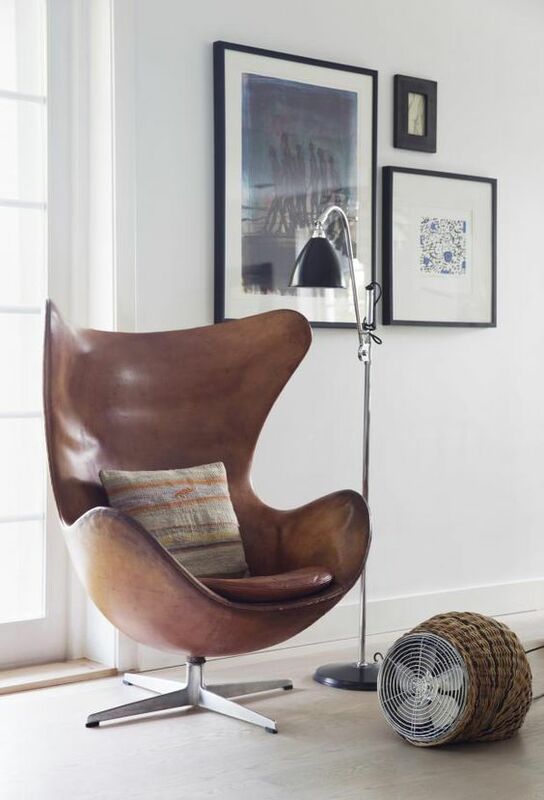 Take this stunning egg chair by Arne Jacobsen as a perfect example and the Hans Wegner Wishbone chair in the dining setting above. 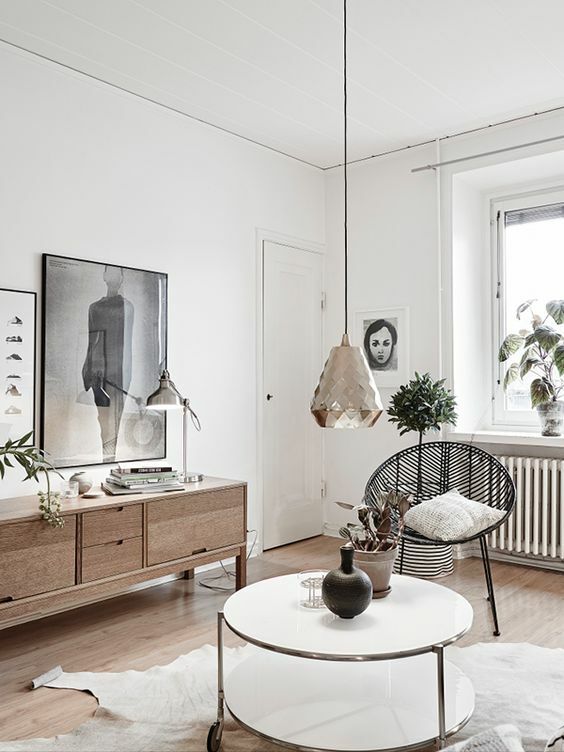 So to recreate Scandi style for your home, remember the mantra of light, white, texture, natural finishes and simplicity and you can start to get a feel of how to successfully incorporate this look.